If you’ve been following our blog, you may have seen earlier articles where we promote the rebate programs for CertainTeed and EverGrain Decking. However, LP Building Products has taken this concept to another level with the creation of their LP BuildSmart Preferred Contractor program. Launched in 2016, LP’s BuildSmart is a training and loyalty program that provides product training and support to member contractors, while also offering additional benefits including business tools, advertising and marketing assets, and the afore-mentioned rebates. It even provides online resources for contractors, such as searchable directories and lead generation support. 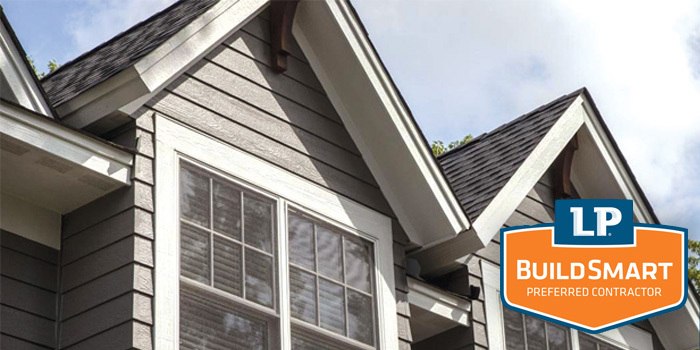 LP Building Products is a leading manufacturer of engineered wood exterior siding and trim. The BuildSmart program incentivizes and rewards contractors who take the time to educate themselves on LP’s product attributes and installation requirements. There are three levels within the program: Pro, Expert and Master. As contractors work their way through the program and “level up”, they’re rewarded with better benefits, including better tools and resources and higher cash rebates. Visit the LP Siding Build Smart page to learn more about the program and to apply for an account today. You can also check out our LP SmartSide page for more information about products available at Wholesale Siding Depot.